Home/Zombie Employees: Who Are They and What Do You Need to Know? Zombie Employees: Who Are They and What Do You Need to Know? Employees with financial stress are distracted at work, take more time off and lose sleep worrying about their finances. Here’s how it’s creating a workforce of zombie employees. Financial stress keeps 40 percent of Americans up at night, according to a new survey from Marcus by Goldman Sachs. This echoes research from Fidelity Investments, which found those with financial stress don’t get enough sleep and are more likely to be frequently stressed-out or anxious. But employees aren’t just losing sleep. Financial stress can lead to poor health, lower productivity and higher absenteeism. The result is a disengaged workforce, a.k.a., zombie employees. Nearly 90 percent of those surveyed by Marcus by Goldman Sachs agree financial well-being has an impact on their overall health. 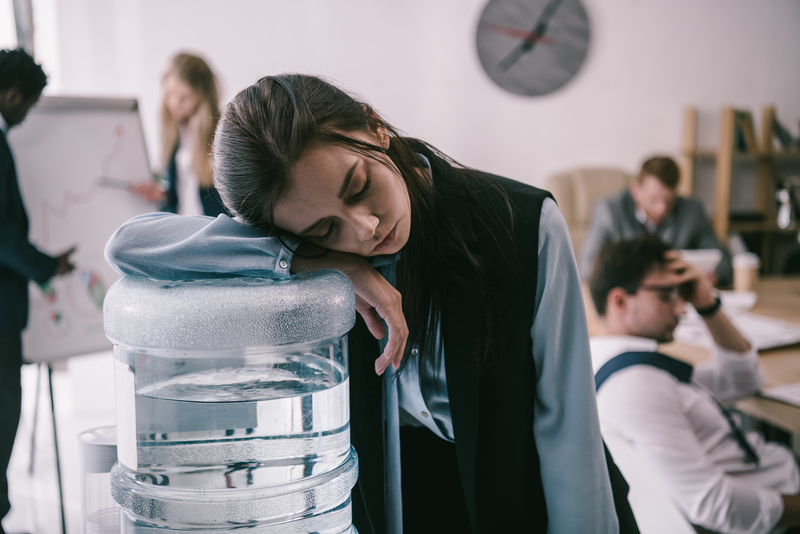 Willis Tower Watson found employees with high levels of financial stress are twice as likely to have poor health as opposed to those without financial stress. Employees struggling with finances are absent twice as often as those who are financially stable. Financial stress is so high, more than 25 percent of Americans skip necessary medical care because they’re unable to afford the cost, according to the 2017 Federal Report on Economic Well-Being. Employees bring financial stress with them to work. Bank of America found more than 50 percent of employees who feel stressed report that it interferes with their ability to focus and be productive at work. More than 40 percent of employees spend 3 or more hours at work dealing with personal finance matters each week. John Hancock found 70 percent of financially stressed employees worry about personal finances at work, costing employers up to $2,000 annually per employee in lost productivity. The good news is, a recent survey by Bankrate found almost 90 percent of Americans have a financial goal they’re hoping to accomplish in 2019, like paying down debt, budgeting spending better and saving more for retirement. The catch? They’ll need help to achieve their financial goals. Marcus by Goldman Sachs found almost 60 percent of Americans found tracking and budgeting expenses to be more stressful than activities like opening a new savings account or trying a new workout. Employers can help zombie employees overcome financial stress and revive their work lives. A report by Ernst & Young found more than 40 percent of employees who are engaged with their financial wellness program are likely to remain productive in the office. The right financial wellness program will help employees reduce financial stress and its detrimental effects so they can bring focused productivity back to work.